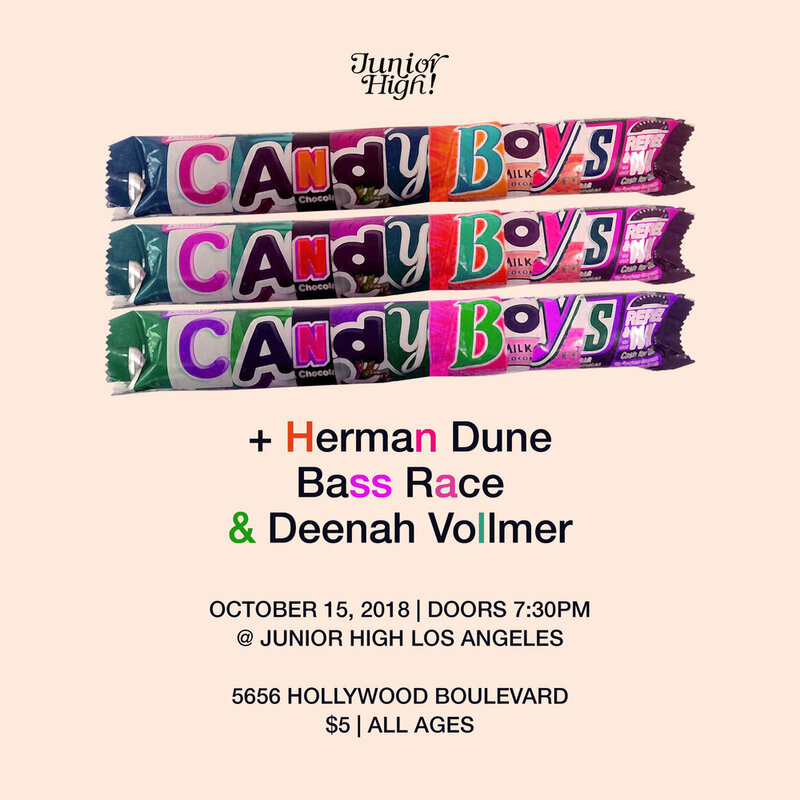 MUSIC | $5 | ALL AGES | If Pee Wee Herman and Tim & Eric had twin babies at an *NSYNC show, you'd have Candy Boys, the sweetest boy band ever! They're the Spinal Tap of boy-bands and the Ramones of the dance floor. Candy Boys are touring the West Coast for the first time in 4 years! D'arick and A'rick perform at all the most reputable NYC Venues and have toured internationally opening for luminaries like The Pizza Underground, Cindy Wilson(B52's), Lizzo, Dirty Fences, and Har Mar Superstar. Based in Brooklyn, the boys have also performed in super acts The Moldy Peaches, Sandra Bernhard, Dufus and Jeffrey Lewis & Los Bolts. Tix available at door: cash, credit, or Venmo. Come hang!